Bunker Surveys (ROB) are carried out for determining the quantity of Fuel Oil and Diesel Oil remaining on board a ship, at any time. Usually, they are required at the time of delivery to charterers or re-delivery to owners. Bunker Survey (ROB) is usually carried out when delivering or re-delivering a ship, under a time charter agreement. So, it is most of the time carried out in conjunction with an On Hire / Off Hire Condition Survey. It is a documented evidence of the actual quantities of Fuel Oil and Diesel Oil at a given point in time and prevents later claims and disputes. The report includes the statement of bunkers remaining on board (HSFO, LSFO, MGO or MDO) at the time of sounding, an estimation of the consumption from sounding to re-delivery or from delivery and a final quantity certificate. Sounding with 2nd Engineer, during an Off Hire bunker survey (ROB) carried out at Castellon Port. Along with bunker survey, it is very usual to require On Hire / Off Hire Condition Survey. 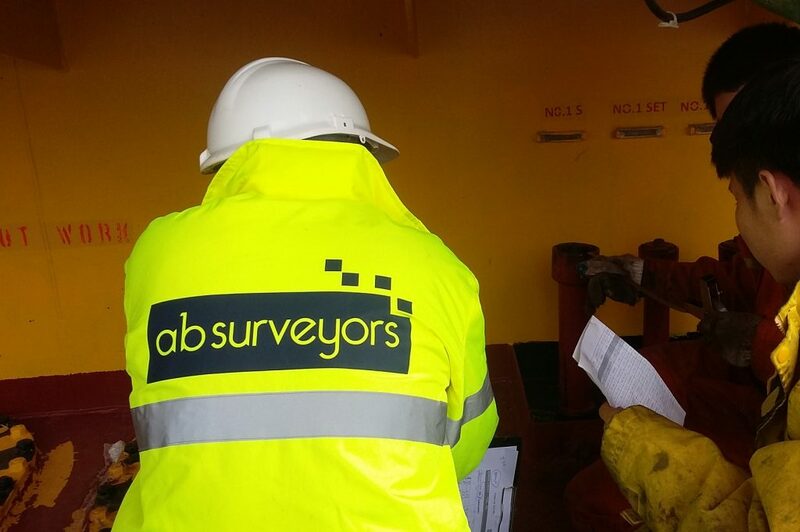 Condition survey is focused in ship’s cargo spaces, holds, hatch covers, decks, weather-tight, cranes, etc. But also can concern documentation, class certificates, engine spaces, performance reports, structural and watertight integrity, system’s installations, operation condition and grade of maintenance. Sometimes, at the request of our client, we can also carry out an ultrasonic test in order to assess the water tightness of the hatch covers. This may be of interest in case of an on-hire survey carried out on behalf of Charterer. AB SURVEYORS owns calibrated Cygnus Ultrasonic Equipment and specific operator training course.